The European Union has been told it needs to “engage on the substance” of what Britain is putting forward on Brexit, after leaders lined up to savage Theresa May’s Chequers plan. Communities Secretary James Brokenshire said the proposal remains “credible” and “deliverable”, despite stinging criticism of it following an informal summit of EU leaders in Austria. He said: “The prime minister remains resolute and is acting in the best interests of our country, getting that right deal. “It’s for the EU to engage on the substance of that and that is what we will continue to do. Meanwhile, another minister has said the EU needs to change its position on the Northern Ireland border, otherwise there won’t be a deal. Transport Secretary Chris Grayling said there are no changes “on the table at the moment” to Chequers, despite the rebuke for the PM’s plan for Britain’s post-Brexit relationship with the bloc. 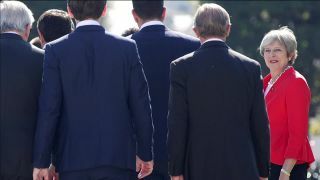 European Council President Donald Tusk said economic aspects of it “will not work”, while French President Emmanuel Macron made clear he was in no mood to extend an olive branch in the direction of Downing Street. 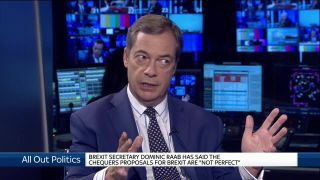 He said Chequers in its current state was “not acceptable” and slammed the likes of Boris Johnson and Michael Gove, who led the Leave campaign during the 2016 referendum, as “liars” who promised British voters Brexit would be easy. The comments have cast fresh doubt on the PM’s Brexit strategy – and by extension her grip on power – with Brexiteers renewing their calls for her to bin Chequers. 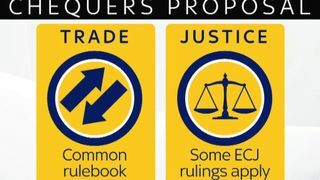 Under the plan, as agreed by ministers in July, the prime minister hopes to agree a “common rulebook” between Britain and the EU on goods, as well as a new customs arrangement with the bloc. Former Brexit secretary David Davis has told the Huffington Post there is a “rock-solid core” of up to 40 Tory MPs who are prepared to vote against the proposal if it is put before parliament. 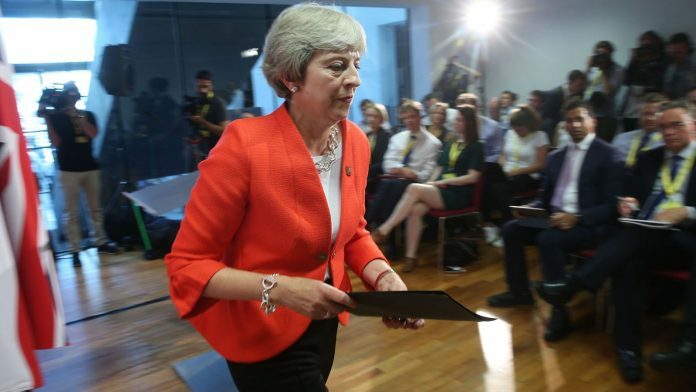 The pressure on Mrs May is likely to build steadily in the run-up to the Conservative party conference in Birmingham next week, where things could come to a head. The PM made clear in a post-summit press conference that she was sticking to her guns, telling the assembled reporters that Chequers is “only serious and credible proposition” on the table. And Mr Grayling maintained that line an interview on Thursday, telling the BBC’s Newsnight that the government would not drop its plan in the face of “tough” language from Brussels. He said the EU’s demands on the Irish border issue were “impossible” for the UK to sign up to. Mr Grayling told the programme there needed to be movement from Brussels, or else there was the very real prospect of there being no deal at all. “At the moment what the European Union is asking in and around Northern Ireland is simply impossible for any UK government to accept. And actually if they stick with that position, there will be no deal,” he said. Mr Grayling, who backed Leave in the referendum, said Britain is “preparing hard” for a “no-deal” scenario, although he predicted a “sensible agreement” would eventually be struck. The Democratic Unionist Party, which supports Mrs May’s minority government in key votes, called on the PM to show a determination “not to be bullied” by the EU over the border issue. The vote for Brexit has raised a multitude of questions about the future status of the border between Northern Ireland – part of the UK – and the Republic – an EU member. Because of this new disparity between two countries that share a land border, arrangements for avoiding a return to a hard frontier (border posts and checkpoints) need to be agreed. The Irish border is a key sticking point in the negotiations, and one particular source of friction is a disagreement on what the fallback position should be if Britain and the EU cannot agree a deal. The EU’s “backstop” would effectively see Northern Ireland remain within its single market and customs union. 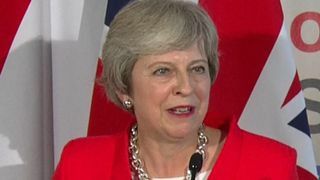 But Mrs May has repeatedly said this would damage the UK’s constitutional integrity as it would likely see a customs border implemented in the Irish Sea, a point she emphasised once more on Thursday.